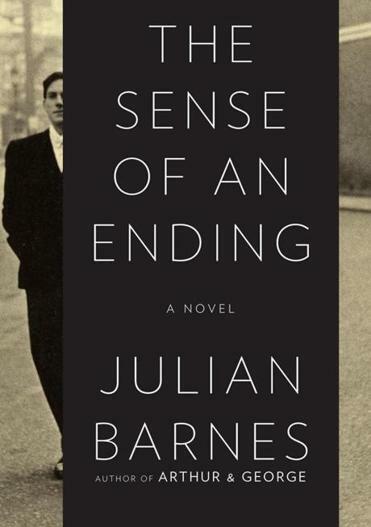 Within the first 20 pages of “The Sense of an Ending,’’ author Julian Barnes explicitly maps out the journey on which we’re embarking in this brief, beautiful, Man Booker Prize-winning novel. They do indeed disappear from Tony’s life. Adrian commits suicide a couple of years later, but Tony’s life follows a much less dramatic course. He travels around after college, has another girlfriend, then marries Margaret. He has a quiet career as an arts administrator, fathers a daughter, now grown, with two children of her own. He and Margaret divorce but remain friends; he retires, has women friends, and occasional visits with his grandchildren. In short, he leads the “peaceable’’ life to which he aspired, and describes it to us in a voice that is wry and seemingly self-aware. That fundamentally chilling question - Am I the person I think I am? - turns out to be a surprisingly suspenseful one. It leads Tony to comb through his own narrative, surfacing new memories and holding old ones up to the light of a mature and self-critical gaze. His initially rueful voice becomes increasingly remorseful as he asks, “What did I know of life, I who had lived so carefully?’’ His memory of a nighttime trip to the River Severn to witness the bore, a giant incoming tidal wave that flows against the river’s current, gains new resonance. For Tony, submersed in memory, time is reversed, and recognition of his past cruelties comes crashing over his placid present. Tony is what literary critics refer to as an “unreliable narrator,’’ someone whose account is not to be trusted. But as Barnes so elegantly and poignantly reveals, we are all unreliable narrators, redeemed not by the accuracy of our memories but by our willingness to question them.